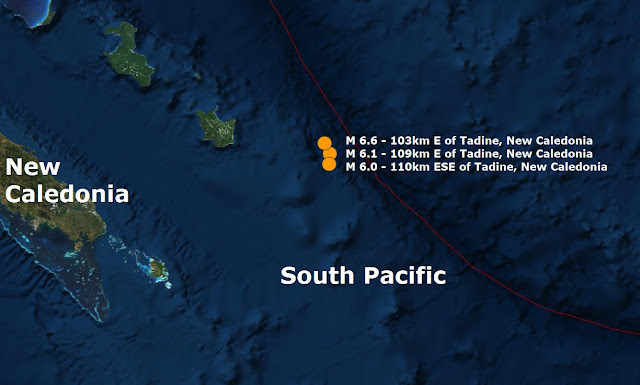 Four major quakes have hit New Caledonia in the South Pacific in the last 24 hours, yesterday a magnitude 6.8 quake struck 137km E of Tadine, this morning three more major quakes struck the same area, small tsunamis have been observed. The question now is, are these major quakes after-shocks or fore-shocks of something bigger to come? It is the first time this year four major quakes have occurred in just over 24 hours and the first time four major quakes have hit the same area in such a short time since 2011 when the mag 9. which hit Honshu Japan causing the Fukushima disaster. 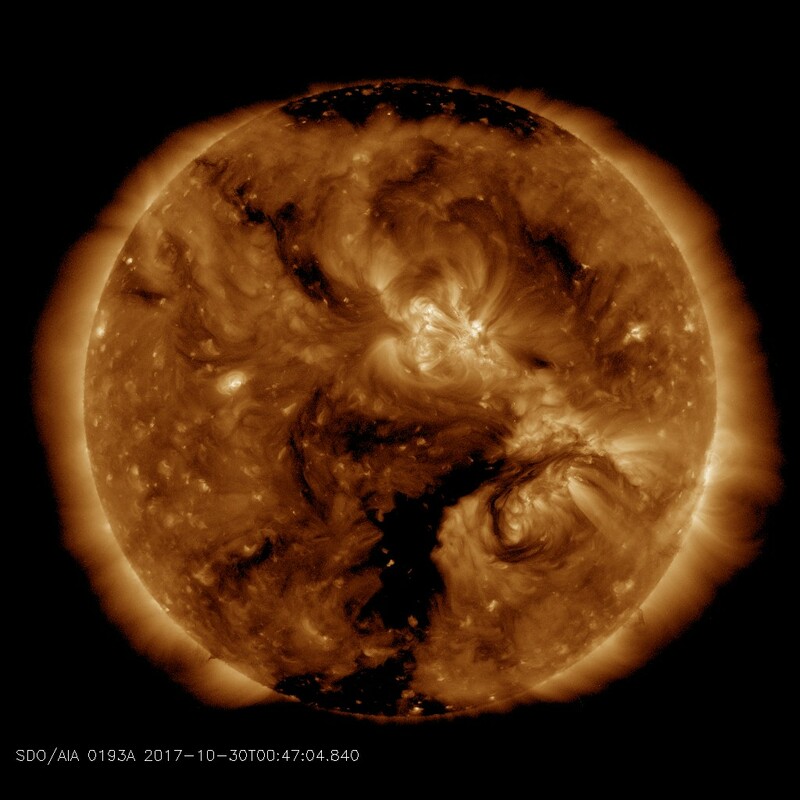 Once again the major quakes came as a large Coronal hole opened up on the Sun while facing the Earth and significantly before the Solar wind hit the Earths magnetosphere which is expected to tomorrow. Today's quakes take the total of major quakes in November to 3 and the yearly total to 88.